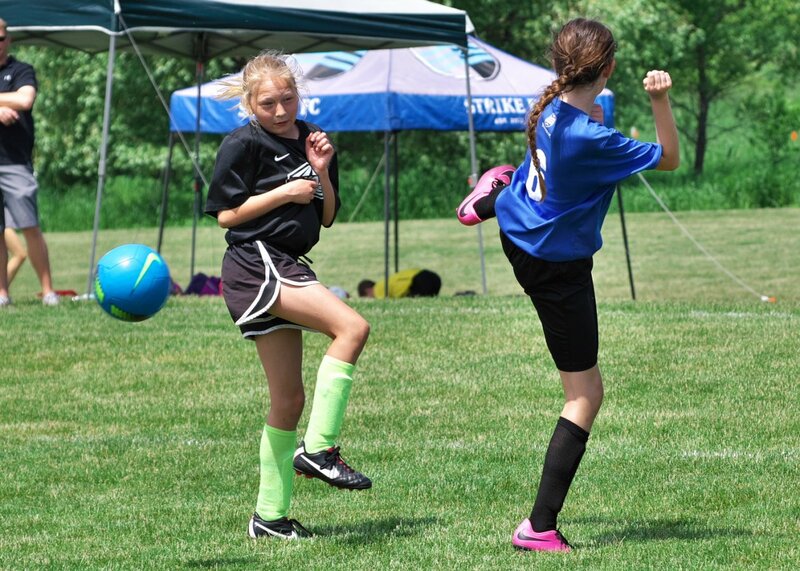 Granddaughter with back to camera blocked the ball with a karate style kick. I liked the way the braided hair curved in line with the leg forming an S curve. Last edited by Harold; 08-29-2018 at 06:29 PM. She definitely looks like she's got the karate thing going on! I like her braid action, too. Without reading what you wrote, I was thinking a Karate kick . Good work. Soccer ball moves very fast, so catching it air-born is not easy. Yes, it is interesting capturing stop action. Thanks for the comment. I set the camera to 8 fps to capture fast moving events.